More Stronger, More Smart, More Solution! 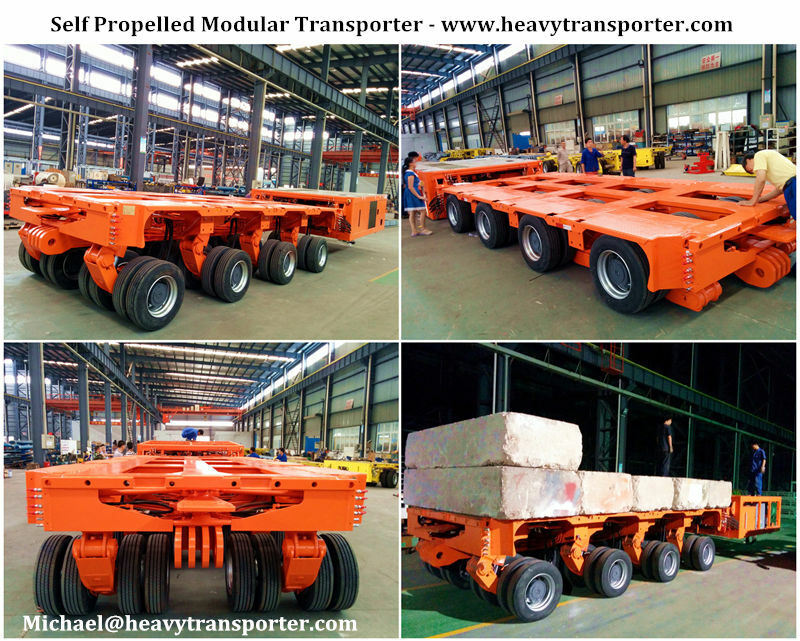 Self Propelled Modular transporter is consist of Power Pack Unit (PPU) and Modular Unit Trailer, Remote Control. The Modular Unit Trailers are generally available with four or six axles. It divided into drive axle, brake axle, pendulum axle. The energy for the hydrostatically driven and electronically controlled transporters is supplied by a power-pack unit. All sorts of driving manoeuver can be carried out with the steering programs. All-wheel steering along and cross, Diagonal steering along and cross, Front-wheel and rear-wheel steering and Circle steering, with a single vehicle as well as in coupling mode. And for PPU, we have different brand engine: DEUTZ, BENZ, MAN, CUMMINS. We can manufacture as your practical project need and provide the best solution and configuration for you to make full use of your existing modular trailer and resource. SPMT can also be coupled with platform transporters/modular trailers. Same height, same width, same couplings – This is the economic supplement/solution in order to create Self-Propelled Transporter units with your existing modular unit trailers/Multi Axle. SPMT offers reliable control technology for the specific requirements in heavy-duty transportation, which synchronises all functions between the individual vehicle entities. For our SPT can be compatible with Original Nicolas and Goldhofer model modular trailers. We can control the SPT/SPMT by remote control. SPMT are manoeuvrable in reduced areas and particularly suitable for the displacement of big modules for chemical industries, offshore platforms, wind power plant components. No matter whatever cargo you meet, our SPMT/SPT is best solution for you! --China Specialized Trailers Supplier --The Leading Manufacture of Modular Trailers-Semi Trailer in China. Produce special trailers-heavy duty transporter for you! Whenever and whatever you need, we are the best solution for you. 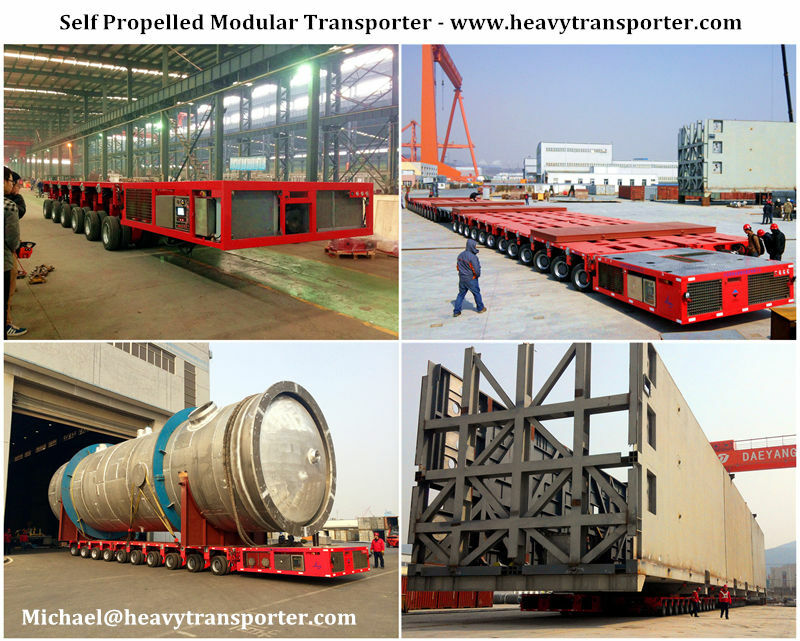 Modular Trailer, Multi Axle, Hydraulic Trailer, Goldhofer THP/SL, Nicolas MDED,Self Propelled Transporter-SPMT, Semi Trailer, Lowbed, Lowboy, Extendable Trailer, Wind Blade Trailer, Container Trailer, Flatbed Trailer. Drop Deck, Spacer, Bolster. Copyright © 2014 China Heavy Transporter. All rights reserved.